Does anyone know Don Novello’s email? 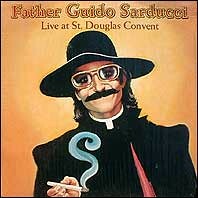 "Does anyone have an email address for Don Novello, AKA Father Guido Sarducci? I believe he lives in San Anselmo, California. I want to interview him for a book I am writing." If you can help, tell Jay. Alex – did anyone ever find Don Novello? I’d like to send him something.